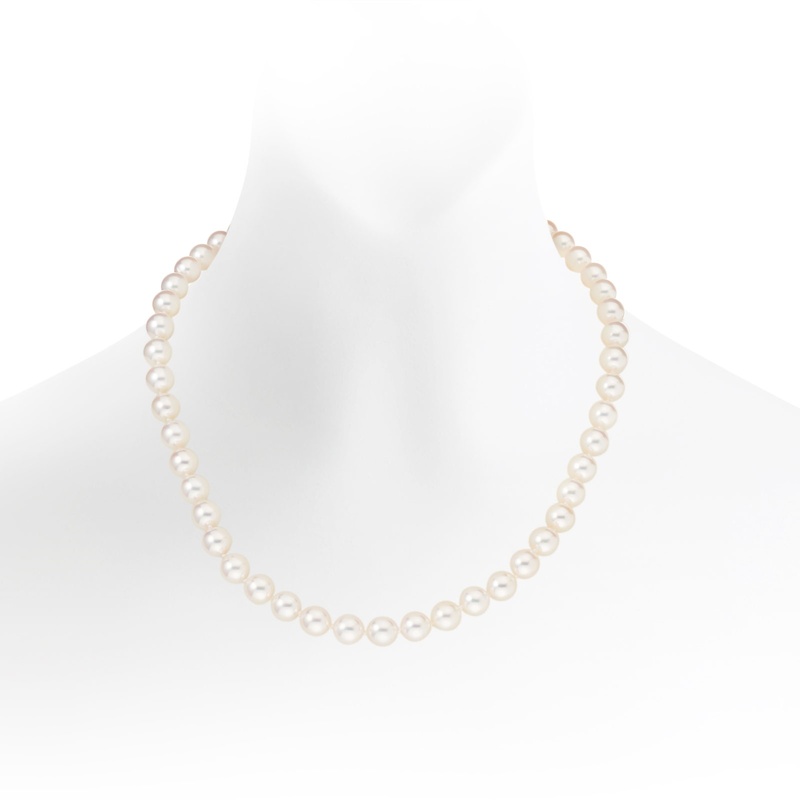 A luxury Akoya pearl necklace, an undisputed and ever popular symbol of elegance since the 1920s, is beautifully versatile to wear and available with a secure 18 carat white, yellow or rose gold clasp. The necklace is made with Akoya pearls that are 8-8.5mm in diameter. 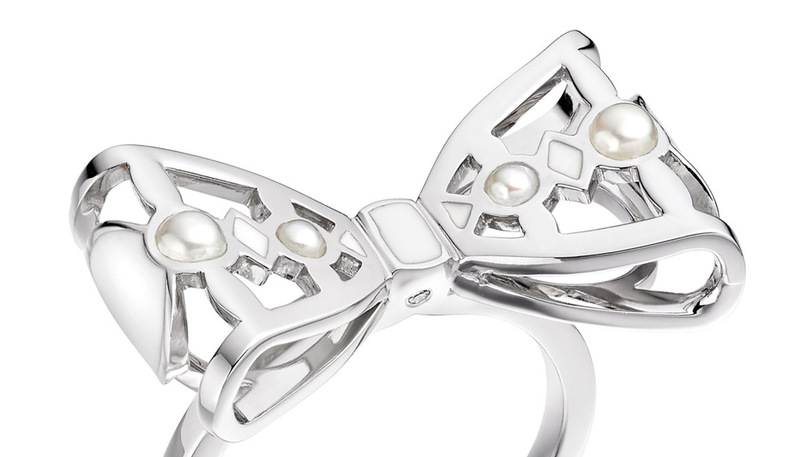 This is a slightly larger size of pearl that will subtly create more of a statement when worn. 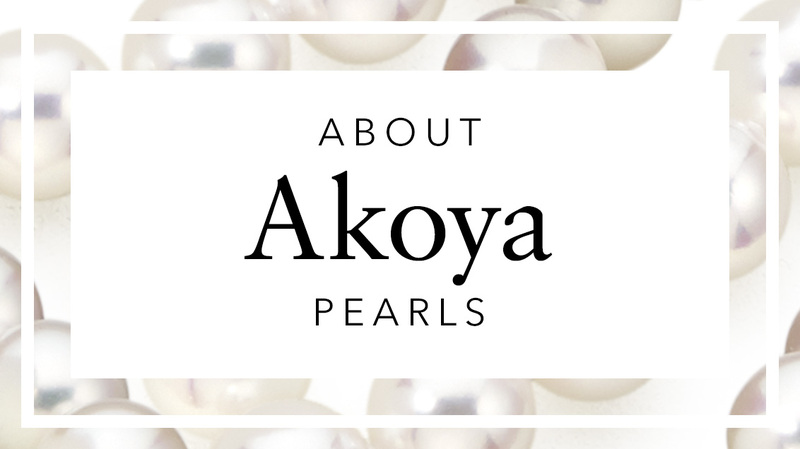 The Akoya pearl is a traditional type of saltwater pearl that is cultured in oysters in Japanese coastal waters. 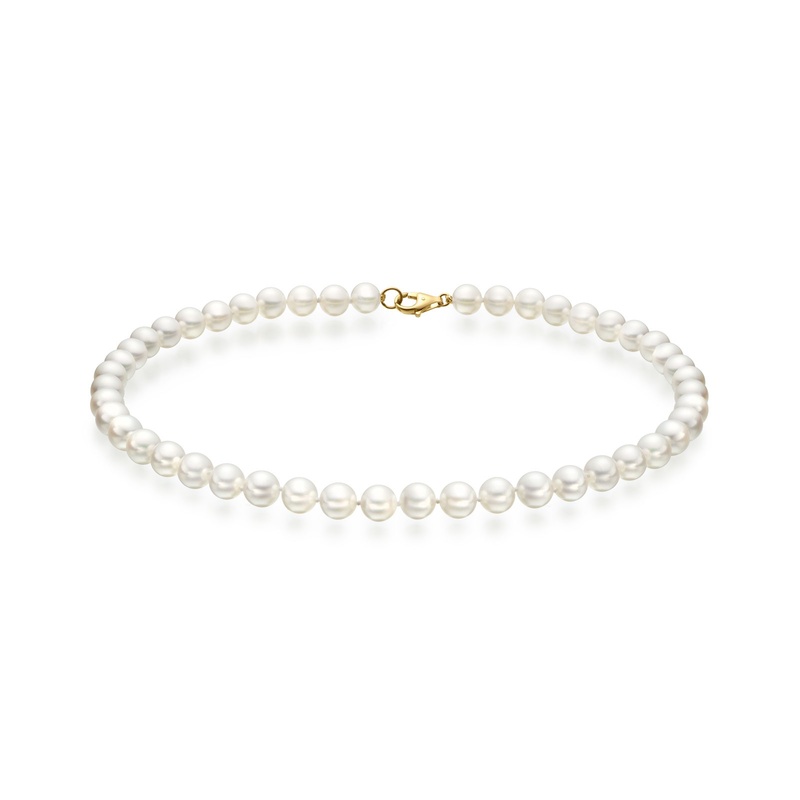 Grown for between 10 and 14 months, each pearl is carefully selected to make a stunning necklace, with pearls that reflect the light and illuminate the face beautifully. 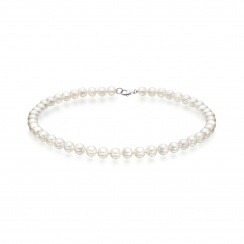 The pearls in this necklace have a white body colour, with a pink overtone and a sharp lustre. The necklace is strung by hand and individually knotted between each pearl to make a 45cm length necklace that will sit comfortably just below the collarbone. A perfect bridal present or anniversary gift, the necklace can be easily matched with a pair of Akoya pearl earrings or bracelet. Each necklace is available with the choice of a lobster or ball clasp, in 18 carat white, yellow or rose gold. Reply Thank you very much for your kind review of your Luxury White Japanese Akoya Pearl Necklace from Winterson. We hope the necklace was perfect for you and, if we can help in any other way, please do let us know. Service rating : Excellent service! 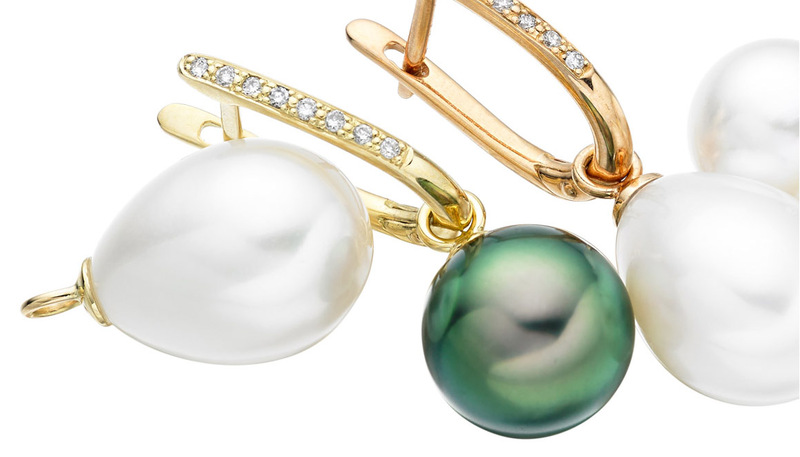 We received the sea water Japanese Akura pearls quickly and as described along with a beautiful pair of earrings that matched perfectly. Our daughter was truly delighted. The pearls are beautiful. They never fail to bring a smile to our face when we see her wear them. Product : Excellent service! The pesrls and earrings arrived quickly and were ĺexactly as described. Actually they look even more beautiful. Out daughter is over the moon. When she eears them it nevet failz to bring a smile to out face. Reply Thank you for your lovely feedback on your recent purchase. That's excellent news! We are delighted that you and your daughter are pleased with her gift. Please do let us know if we can be of any further assistance in the future. Excellent! A very professional approach to fine product sales. Service rating : My shopping experience with Winterson was excellent. Their knowledge about pearls, advice about their products and customer service was exceptional and I was very reassured when purchasing from Winterson. Product : This necklace is stunning. I took my time to find the perfect South Sea Pearl necklace and tried many South Sea necklaces in Dubai, Australia and Europe. Sometimes the pearls on those necklaces were too large but often the pearl lustre was poor and the pearl colour was off-white, grey or creamy etc. This South Sea pearl necklace is stunning - it has brilliant ice white pearls, unbelievable pearl lustre, is perfectly colour matched and graded, minimal natural imperfections and the diamond clasp looks a million dollars. I love this necklace. I wear it regularly, discreetly for day and for evening, and receive regular comments about how fabulous it is. Thank you for the reassuringly excellent quality purchase. Service rating : Very impressed with Winterson, their customer service and high quality of product. I've been looking for a nice pearl necklace for a while at various jewellery stores in the UK and when travelling abroad. I saw Winterson pearls and called for advice to decide between a couple of choices I liked and they were most helpful.The product I received from Winterson was far superior to the jewellery I've seen at the stores and the satisfaction guarantee made me feel comfortable about purchasing. I am extremely happy with my purchase. 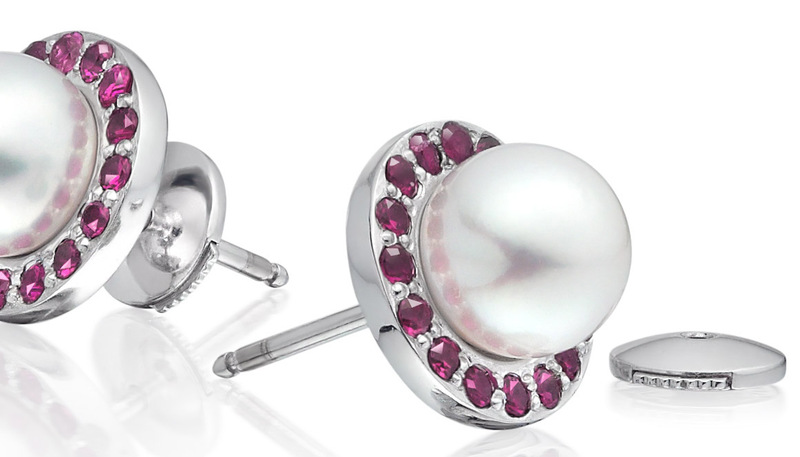 Product : Exceptional quality pearls with excellent lustre. I have since bought 3 luxury pieces from Winterson, both personally and for gifts. 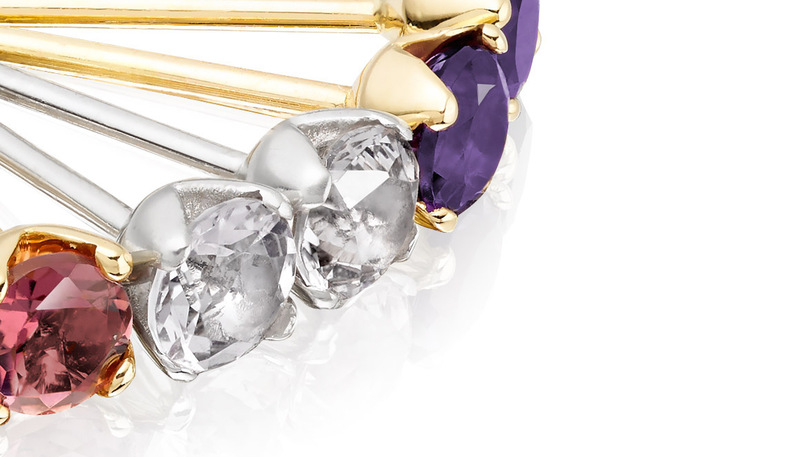 Both myself and my friends love the finish and the quality of the jewellery we received from Winterson.